Best wishes for Christmas and the New Year to all of LKL’s readers, friends and contributors. Have a peaceful break. 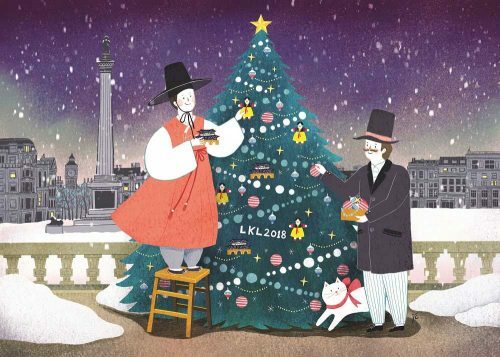 As in previous years, thanks are due to Jieun Kim aka The Drawing Hand for the London Korean Christmas design which adorns the cards that some of you will have received.